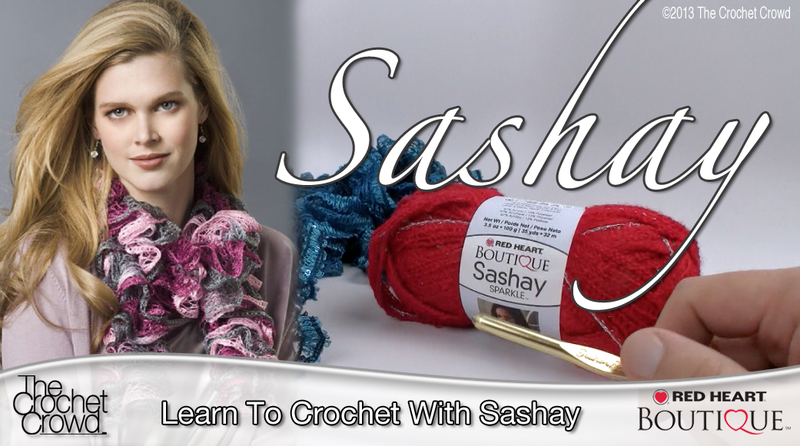 In today’s less, you will learn how to crochet using Red Heart Boutique Sashay. I really never thought this was possible but then I reviewed another technique demonstrated by the Editor-in-Chief from Crochet Today Magazine. I realized the technique she was using on another project can apply to Sashay as well. Follow along with in my tutorial below. I’m sorry I’m using the sashay fabric pink with polka dots. Hi so I found this great new fabric! BUT I followed the YouTube video, and my scarf starts nice and fluffy but later on the chain shows and it’s like it stretches when I tried it on, and looks horrible. HELP! I don’t know why this is doing this. I’ve tried to redo it 4 times and each time is the same. Great video. I never knew anything about this yarn, and now I can’t wait to try it out. Has anyone seen any other patterns for this yarn? I love the way it looks, but I have like 8 scarfs that are identical except for the color. I would love to make something different,but all I can find are the same scarf and tutu patterns.